Posted by Qrystal on July 18, 2008 at 18:33. Category: Miscellany. Tags: fun, humour. 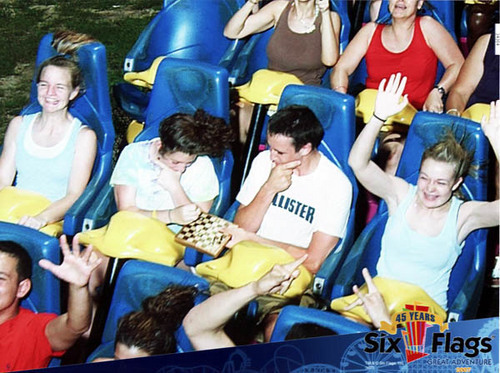 I am SO going to take a chessboard with me, next time I go to an amusement park!!! This page shows a bunch of great images of people living out the dream of xkcd comic #249.